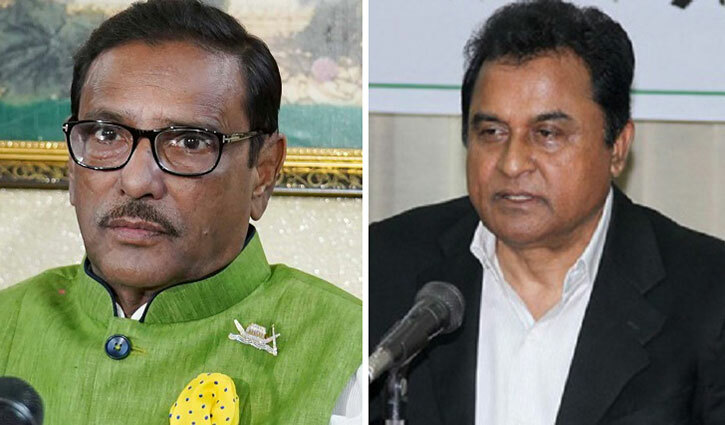 Special Correspondent: Finance Minister AHM Mustafa Kamal enquired about ailing Awami League (AL) General Secretary and Road Transport and Bridges Minister Obaidul Quader, who is undergoing treatment at Mount Elizabeth Hospital in Singapore. The finance minister visited the hospital yesterday (Friday) afternoon and talked to Quader’s wife Isratunnesa Quader and enquired about the minister’s health. A press release of the Finance Ministry confirmed the matter on Saturday.